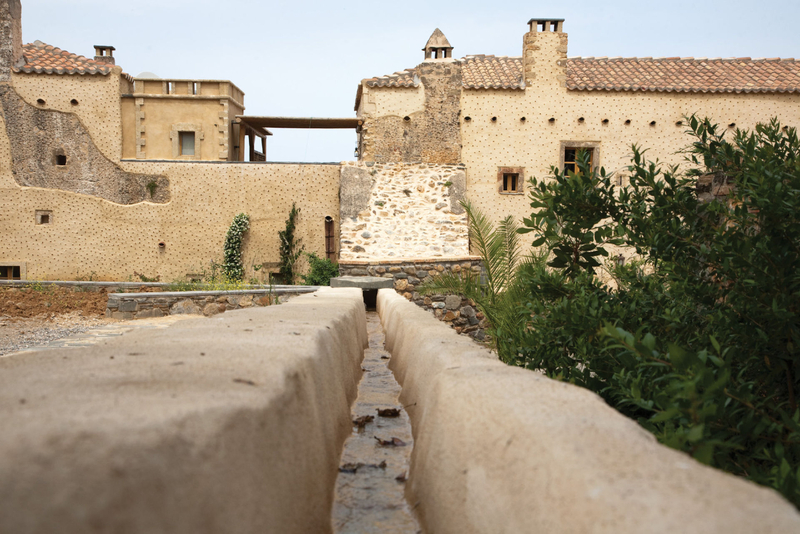 The region’s history dates back hundreds of years, if not thousands. At a distance of 10.6 kilometres north of Monemvasia, on the hill named “Kastraki” (“Little Castle”), there was an important Mycenean centre. In the 6th Century B.C., Dorian Argives built the city of Epidaurus Limira on this hill, which developed into an important administrative and residential centre in classical times. Above the estate, on the hill “Kastraki”, one can see remains of a Hellenistic fortress (250 B.C. ), which served as the fortified border outpost of Epidaurus Limira. 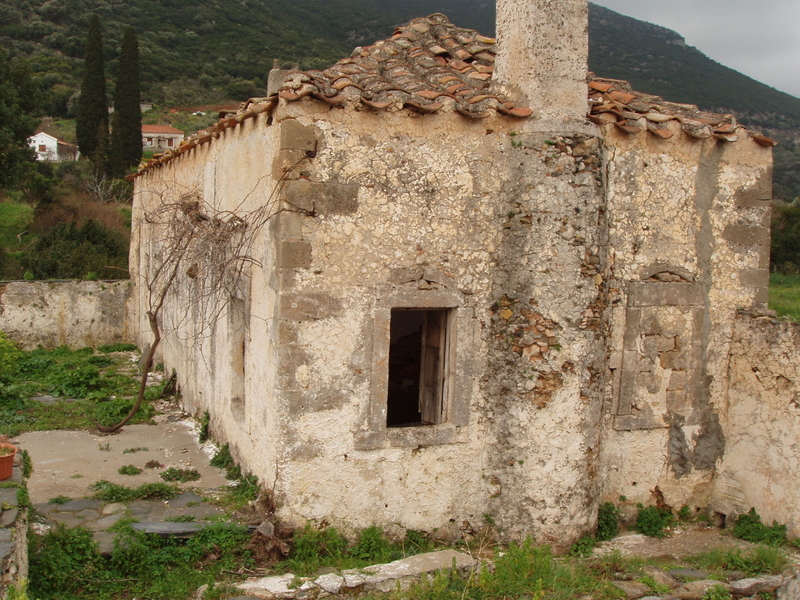 In the Limnes area (about 1 km from the estate) you can see in the courtyard of the Church of Agia Thekla various architectural elements that may have come from the ancient sanctuary of Artemis Limnatis, which was described by Pausanias (170 A.D.) in his travels. In classical times, tufa limestone quarries used to operate in the areas of Nomia and Agios Fokas (relevant studies in the estate library). The great earthquakes of 365 and 375 A.D. destroyed and submerged the coastal settlements of the region. In 583 A.D., after the local Laconians laid the foundations for the fortress to protect themselves from raids by both Slavs and Saracens, the security of the outlying villages in the region became irrevocably tied to the fate of the castle-fortress. After the fall of Byzantium, Monemvasia came under Venetian rule (1461-1540), then passed to Ottoman control (1540-1690) before reverting once again to the Venetians, who landed in the “Ambelakia” (“little vines”) region (1689), where Kinsterna’s vineyards are located today. After a year, they succeeded in taking the fortress, which they held until 1715, when the Ottoman’s recaptured and held it until 1821. The early history of the mansion is lost in the mists of time, and, unfortunately, no records have been found regarding the original structure and the time of its construction. 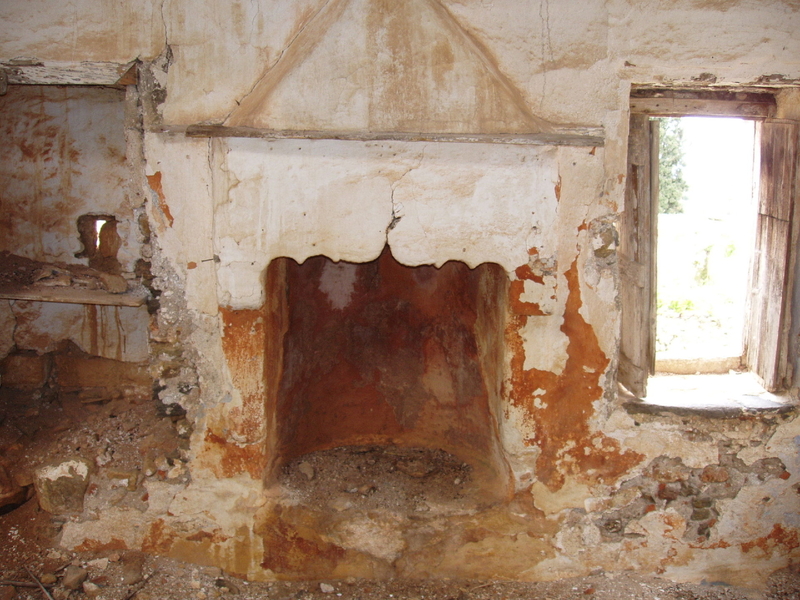 The age of the lintels in the Reception area and in Room 37, according to a study carried out by Democritus Institute, places their likely dates of construction at 1667-1783 and 1720-1784 respectively. The manor house is situated in an ideal position for monitoring the area and forms a classic “Π” shape common to medieval defensive structures. The interior courtyard is dominated by a great cistern encircled by 20 imbedded columns. 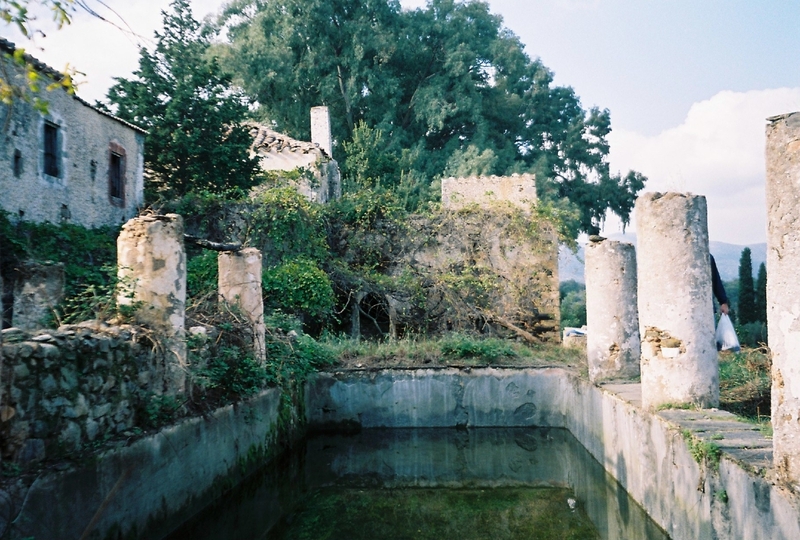 The mansion actually owes its name to this unique and imposing cistern, since the word “kinsterna” traces a circuitous route from the ancient Greek “kisti”, which then joined with the Latin “sterna” to become “cisterna” and then reentered Byzantine Greek as “kinsterna”. 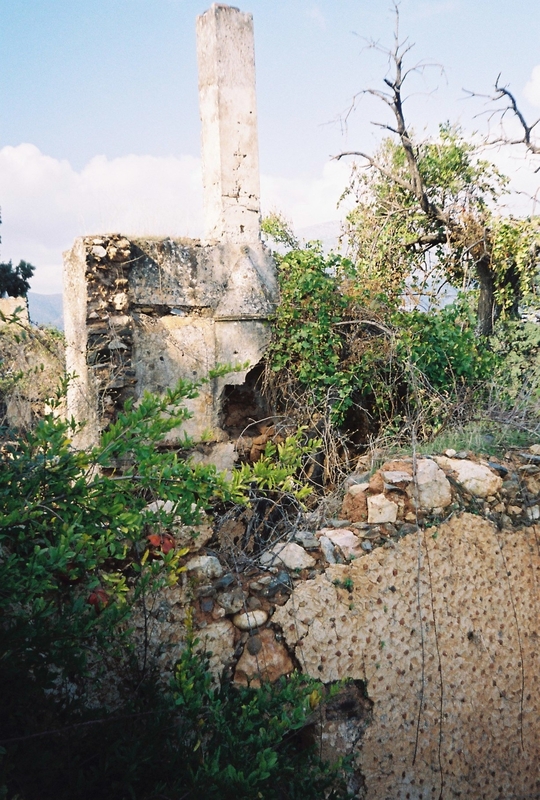 In 1670, the Ottoman traveler Evliya Ҫelebi noted that there were many public wells and cisterns in Monemvasia and that these comprised important monuments of the region’s cultural heritage. Ottoman characteristics of the building, such as its embrasures and gun holes and the large fireplaces and chimneys are still evident today, combined with Byzantine and Venetian elements most clearly visible in the exterior faces of the walls and the ceramic designs and brickwork. The rich and complex past of this fortress-manor can also be traced in the base of a defensive cannon, in the estate’s olive-press, in a detention cell that today comprises the mansion’s most unique and sought-after suite (Byzantine Suite 25) or in hidden storage rooms (Kinsterna Suite 39). After the Revolution of 1821, the manor and its estate, whose previously recorded owner was Ibrahim Bey, passed to the ownership of the new Greek State. In 1870, the estate was purchased by the Kapitsini family. 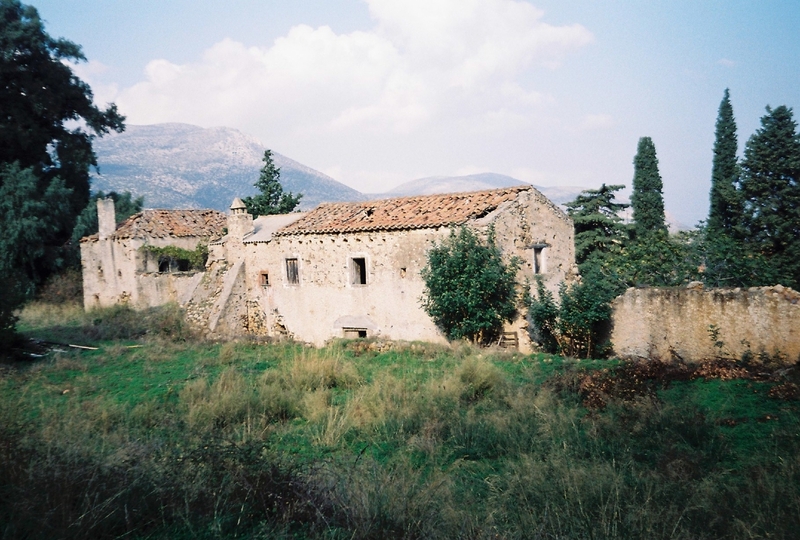 A portion of the manor complex was inhabited until the 1970s by Lina Kapitsini, the last “Lady” of Monemvasia. After 1980, the property was gradually abandoned to the elements. By 2002 when it was purchased by its current owners, nature had once again taken over and was slowly destroying the manor house and outlying buildings. In 2006, a talented and experienced team of architects, engineers and designers began to restore the mansion, in close cooperation with the Ephorate of Byzantine Antiquities. Throughout this painstaking process, traditional methods and materials (both old and newly crafted from local sources) were employed. 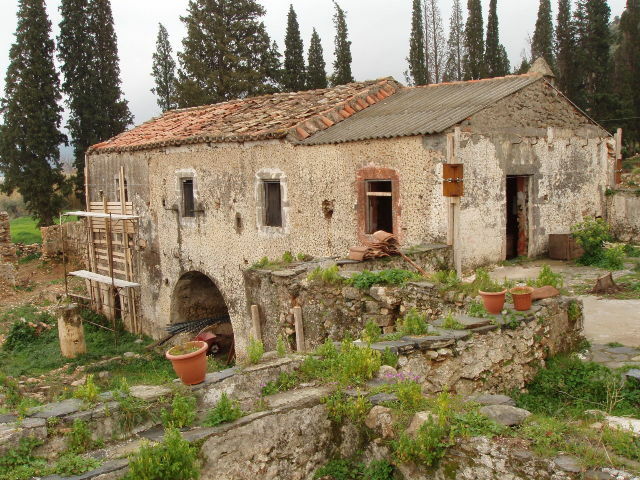 During the restoration process, a great deal of original and local materials were used: cypress wood, reeds from nearby wetlands, slate slabs for paving and roofs, handmade ceramic elements from Geraki, old Pendelic marble, hand-made forged iron doors and various antique items such as lanterns, chandeliers, chairs, etc. Many craftsmen from the surrounding region, whose skills have been handed down from generation to generation, contributed their passion and know-how to this masterpiece as well. The Kinsterna was reborn as a boutique hotel in 2010, despite the enormous size and complexity of the project and its many challenges. During your tour, you will discover many elements and characteristics from the original construction and design of the mansion. From the Byzantine domes and internal water pipes and conduits to the handmade embroideries and original fireplaces in the rooms, every part of this splendid building has its own unique story to tell. For many centuries, this property, which later witnessed the revival of Kinsterna manor, was a model of autonomy and sustainability, functioning harmoniously within a rich and lively natural environment. 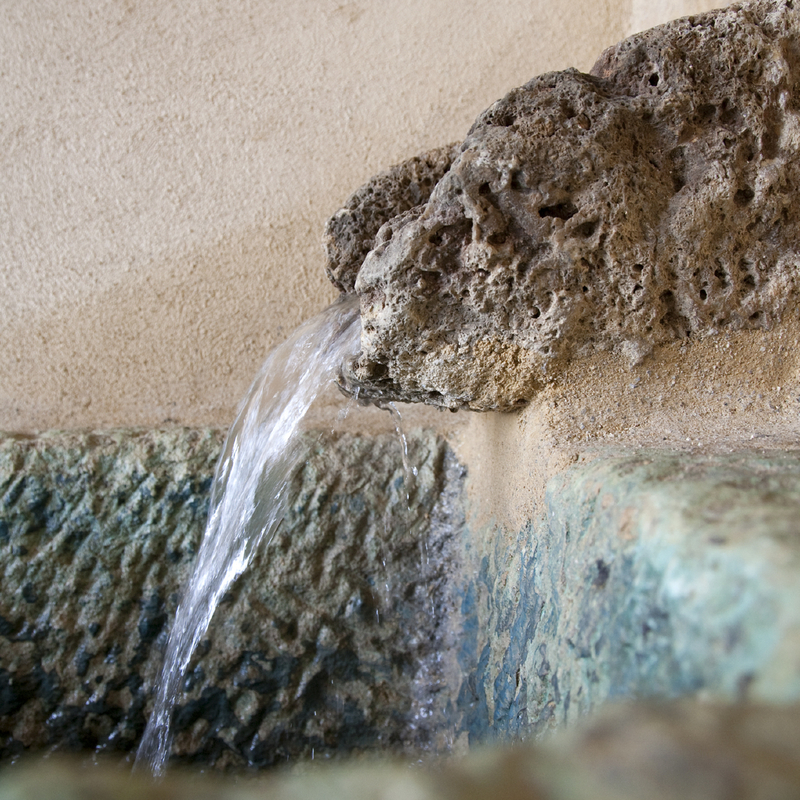 Fed by abundant flowing water from natural springs, the estate nourished the people living on it and undoubtedly contributed to the local economy, as shown by historical archives from the Byzantine and Ottoman years. These traditional practices and occupations – from a time when communities were economically independent – lie at the heart of Kinsterna’s model of sustainability and of its owners’ philosophy and vision. With special emphasis on reviving and strengthening these ancient practices (harvesting grapes and making wine and tsipouro, gathering olives and producing olive oil, baking bread, making soap, weaving fabric on the traditional loom, etc. ), the owners have consciously made great efforts to ensure that the local community and wider region will benefit from this impressive model of sustainability. Another important pillar of Kinsterna’s philosophy is based on a cultivation and celebration of the human element in warm, sincere and welcoming hospitality – a well-known point of pride throughout Greece. Visitors to Kinsterna may be surprised by the friendly (and at the same time consummately professional) attitude and performance of the entire staff, who are genuinely eager to welcome visitors to this little corner of paradise in the southern Peloponnese. This is their home, and it gives them both pride and pleasure to share it with our guests. 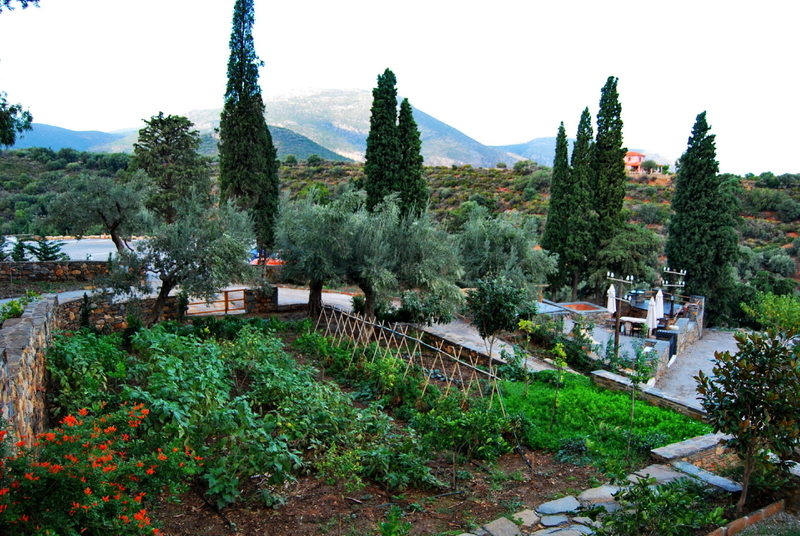 Use of local ingredients in our kitchen: garden produce, meat, chicken, herbs, wine, olive oil, etc. Program for recycling towels, etc.